This is probably my only "minimalist" photo. It symbolizes "struggle" , "persistence" or "loneliness". 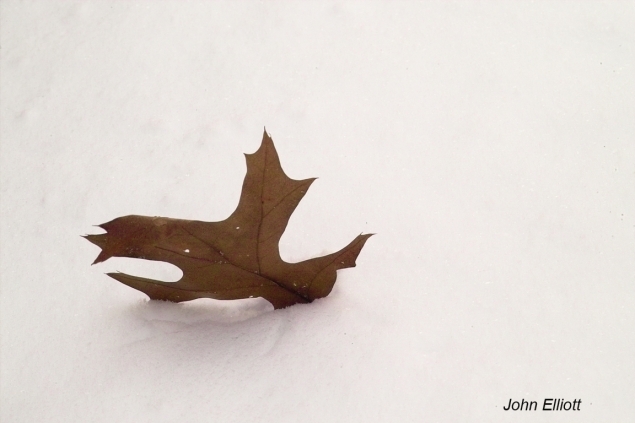 The leaf was in my front yard, isolated from all other leaves, stuck in the snow. The wind blew it back and forth but it could not or would not break away form the point of anchor.